By Josephine Gallagher | February 22, 2013. On 11 February, two building blocks in St Teresa’s Gardens were demolished – the first step in over three years towards regenerating the flat complex. Over the years the neglected and abandoned flats have been plagued with anti-social behaviour, linked to drug use and gangs in the area. 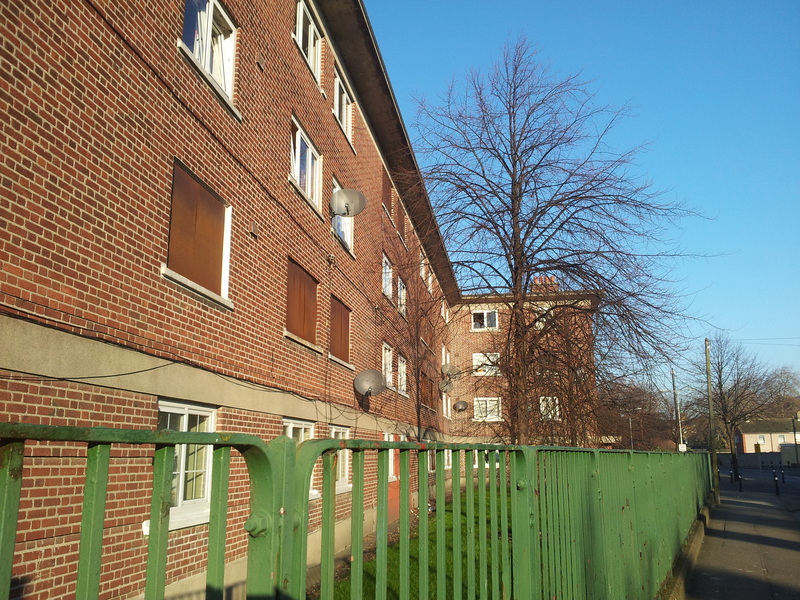 According to Fine Gael Councillor Ruairí McGinley, the conditions in the area have gotten extremely poor and the housing has deteriorated greatly over the years. “Not just on a physical level but on a level concerning anti-social behaviour where people going about their day to day business are having problems with gangs and youth gatherings,” said the Dublin Councillor. Funding for further regeneration progress has still to be confirmed by the Department of Environment, posing more questions as to when the St Teresa’s Gardens complex will finally be restored. Many of the locals have voiced their concerns over when such progress will be followed through with. Two residents of St Teresa’s Gardens said they were not informed about any further steps towards improving the living standards in the area. “We don’t really know what’s happening, it could be another good few years until anything else is done,” said one of the residents. Businesses around St Teresa’s Gardens have suffered greatly due to the growing crime and poor conditions; with only one shop left open, as part of the building complex. “All the businesses have gone, as you can see”, said the local resident. More than 50% of the flats are now vacant, with many former residents re-homed by Dublin City Council. This re-housing process called the de-tenanting programme has taken many years, as new homes have to be bought for individual families. The bulldozing of the two building blocks has made way for a new children’s playground, an attempt to make the area more child-friendly.